Elle 18 matte lipstick comes in a sweet black packaging with a lovely girl’s face printed on the cap. But the packaging is mutual to all lipsticks by Elle 18, so it is quite problematic to identify and pick one range or shade. The cute tube is easy to transport around, though. It is such a fun as well as girly packaging. But, the packaging twist mechanism isn’t very sturdy. Other than that, customer really like this super reasonable lipstick. This new matte lipstick variety has 20 shades. This range has a huge diversity of shades like red, mauve, orange, pink, and brown. ‘First Love’ is from the purple range and it is a lovely pinkish purple shade with a neon touch. It looks so bright as well as neonish on the lips. It looks nice on any medium skin tone, but the shade would suit fair skin tones the greatest. It is a fun color to try particularly during the summer. It looks very fresh as well as very poppy. It washes out darker skin tone and is not a mature shade at all. 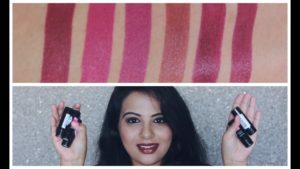 Moreover, the shade is decently pigmented and requires maximum two to three swipes for the true, flawless color to show up. 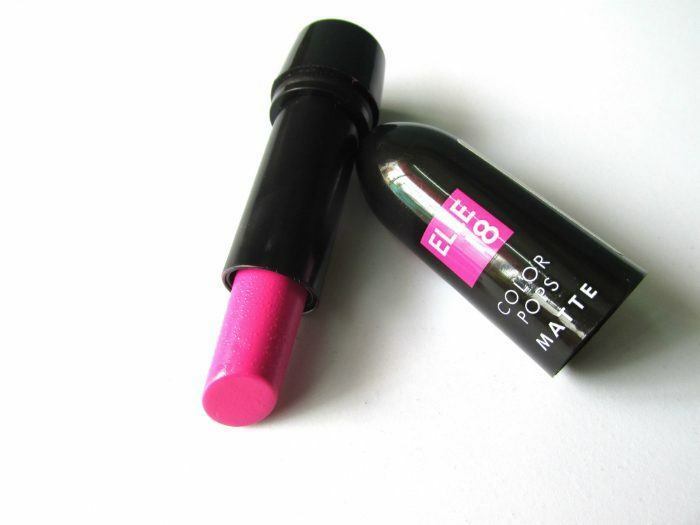 It is a “matte lipstick” but some people like to call it a creamy matte lipstick. 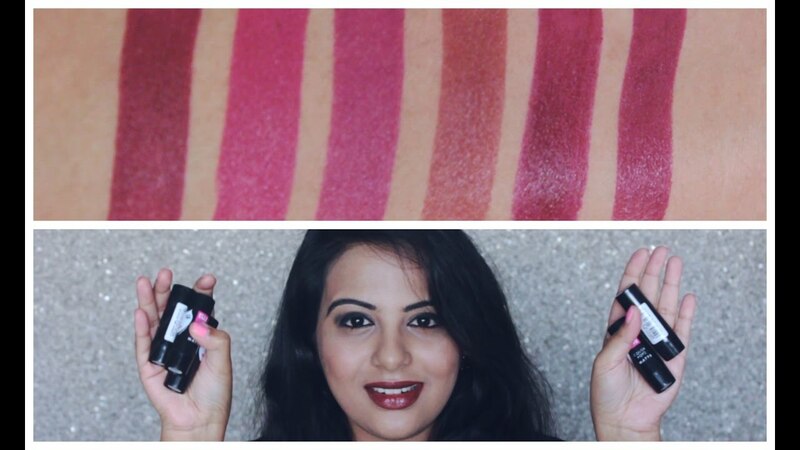 It’s smooth and soft texture slithers so easily on the lips and it provides an even application. The finish is not accurately matte; it is more of a creamy-matte with a smooth finish. It has a non-drying finish which preserves the lips soft and moisturized for long. But, after some time, it settles down to a nice semi-matte stain. After that, it feels a little dry if you have really chapped lips. Or else, it is a really a hydrating lipstick which doesn’t highlight dry patches. According to its price, it is really worth the money as it provides a very poppy shade and also has a nice quality. Some people was expecting it to have a perfect matte finish which it can’t exactly deliver. This shade is really good for the teenagers who like to sport fun shades.